Have you ever wondered how the Solar System works? The European Space Agency has. The question is one of the four top research and exploration priorities that ESA has defined in its Cosmic Vision plan. But the subject is vast and takes into consideration numerous celestial bodies (such as planets, asteroids or comets) and the associated interactions and complex phenomena. For example, the Earth has an intrinsic magnetic field that essentially acts as a shield protecting us from the deadly space radiation. This “protective bubble” is called the magnetosphere. We already know a lot about its structure and behaviour but there are still many questions left regarding how it interacts with the charged particles coming from the Sun. This is what the AXIOM mission aims to find out. 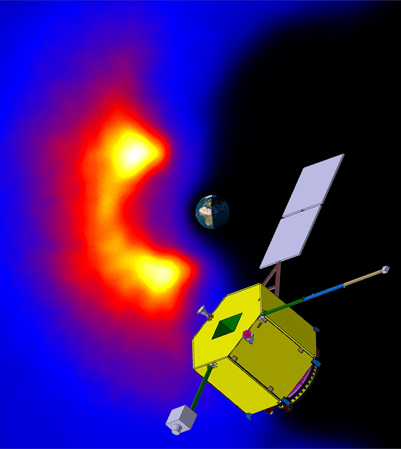 AXIOM stands for Advanced X-ray Imaging of the Magnetosphere and it has been suggested by a consortium of institutes led by the Mullard Space Science Laboratory (MSSL) of University College London, in response to ESA's call for a medium-class science mission to fly in 2022. 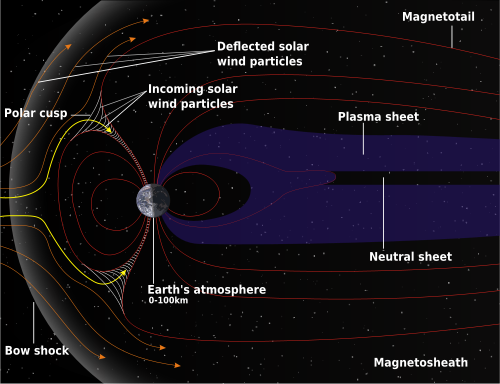 The idea of using X-rays for imaging the Earth's magnetosphere is based on a recent discovery of the solar wind charge exchange phenomenon by which the interaction between the stream of solar particles and neutral atmospheric atoms produces X-rays that can be observed from space. While space missions such as Cluster can study space plasmas in great details but on a local scale only, there is also a need for getting a global view of the magnetosphere and its boundaries. AXIOM will do exactly that by using a wide-field X-ray telescope as its primary instrument. Additionally, a heavy ion sensor and a proton-alpha sensor will constitute the plasma package that will analyse the velocity and composition of the solar wind, and a magnetometer will measure the interplanetary magnetic field. The Earth's magnetosphere is definitely not a sphere! Its shape is best described by the expression “oval tear drop” with the pointy end of the drop directed away from the Sun. The magnetosphere extends about 10-12 Earth radii (1 ER equals approx. 6,371 km) on the sunlit side and its tail is a few hundreds of ER long. Such a shape is dictated by the constant flow of charged particles emitted by the Sun and called the solar wind. When the particles approach the magnetosphere, their speed abruptly drops from supersonic to subsonic in a collisonless shock named the bow shock. Most of the particles are deflected or trapped by the magnetosphere and do not reach the Earth. However, some of them manage to penetrate the magnetic protection in the so-called cusp regions. The typical effects produced by those particles can be observed in the polar regions as aurorae or northern lights. The purpose of this web-site is to present an MSc project aimed at studying some aspects of the AXIOM mission. The main objective is to study, quantify and verify some of the results stated in AXIOM's proposal document  put forward by UCL/MSSL in collaboration with Leicester University, Imperial College and NASA Goddard Space Flight Center by conducting an independent analysis focusing on three major aspects: the characterisation of the Lissajous L1 orbit, the design of instrument booms and the study of the spacecraft's radiation environment. You will discover the orbits that have been suggested for the spacecraft and in particular the unusual Lissajous L1 orbit, see how space booms can be designed and their performance assessed and learn more about space radiation and its effects.